Amazon on Thursday announced the availability of its new device — Echo Input — that would enable users to add Alexa support to their existing speakers via an audio cable or Bluetooth, for Rs 2,999 in India. The Amazon Echo input features a four-microphone arrangement to allow users to talk to Alexa from across the room using the Alexa app that is available on both, iOS and Android, the company said in a statement. Using the device, users would be able to add their speakers to a new or existing multi-room music group and adjust volume parameters using voice commands. “With Echo Input, we are giving users even more options to choose the best Echo device for their needs and adding it to your existing speakers is the easiest way to begin your voice-first experience with Alexa,” said Jayshree Gururaj, Director, Amazon Devices. 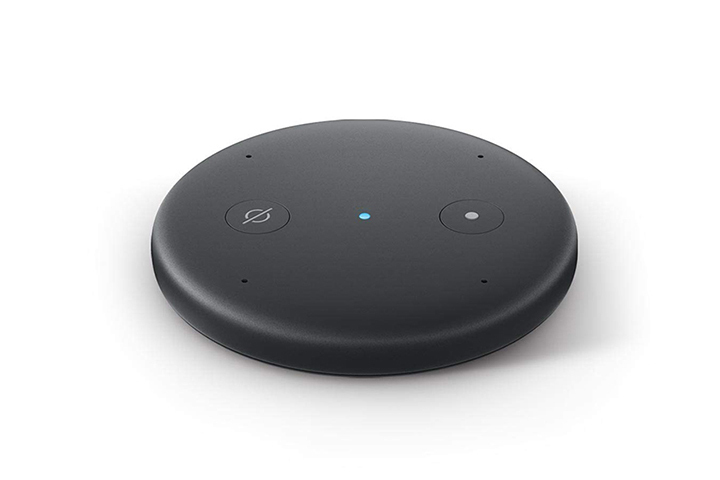 The device adds to the Echo Dot, Echo, Echo Plus, Echo Spot and Echo Sub family of Amazon products. The company also announced that in addition to Amazon Prime Music, Saavn and TuneIn, users can listen to music from Hungama and Gaana as well, which are now available on Alexa starting Thursday.